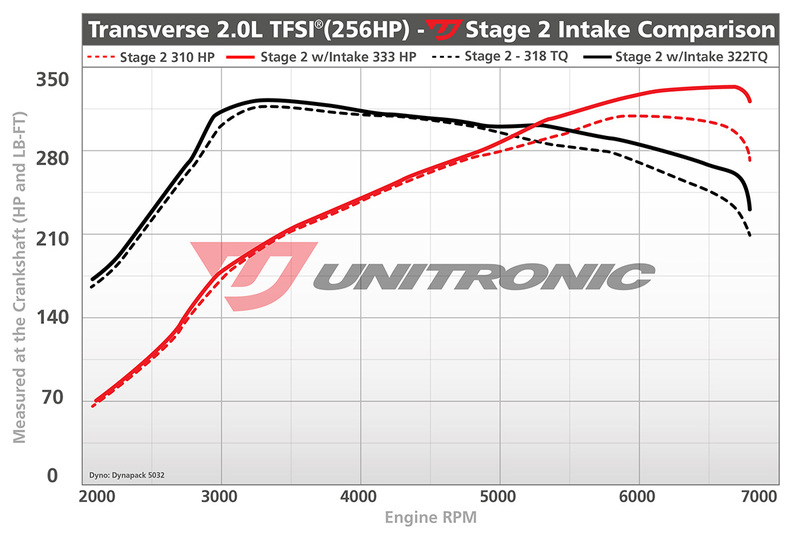 Unitronic is pleased to present its Cold Air Intake System for vehicles equipped with the 2.0 TFSI engine (Golf R / S3). With extensive background in engineering the finest in Performance Software, Unitronic developed an intake system that maximized performance, while maintaining precise MAF scaling, as a result of its sensitivity on this platform. This translates into a complete Cold Air Intake System that is sure to perform to the maximum, providing increased power, air velocity, and throttle response, while also decreasing air intake temperatures and turbo lag. In addition, Unitronic’s Cold Air Intake will enhance the sound of your turbocharger and bypass diverter valve. 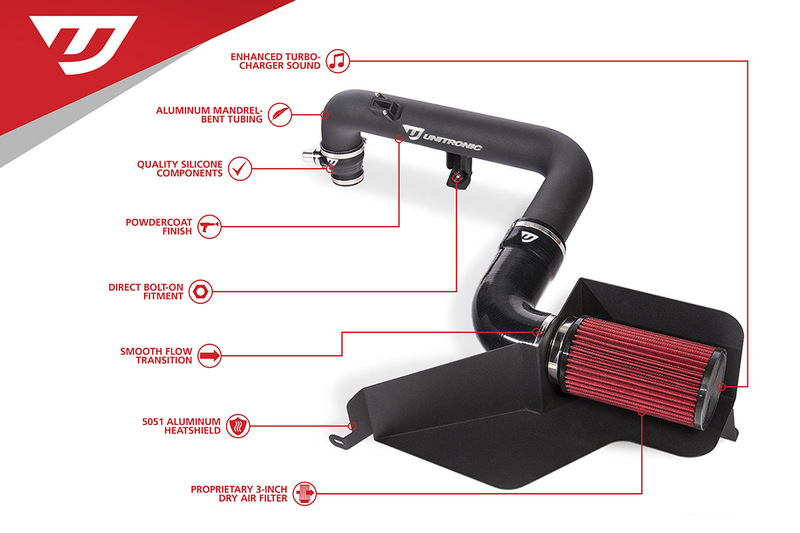 The Unitronic Cold Air Intake System for vehicles equipped with the 2.0 TFSI engine (Golf R / S3) is designed to be simple to install with all the hardware necessary included. Installation time will take approximately one hour including the removal of the factory intake and installation of your new intake system. The supplied instructions provides a comprehensive installation walthrough. It includes a complete list of tools and other requirements necessary for the installation. *Heat shield bracket must be bent to reach radiator support to fit Audi® TTS models.